I already told you about my fabric shaver and my egg cracker, so those don’t count! This post could be titled “Last Minute Ideas for Frantic Mother’s Day Shoppers.” But I think better of you. I’m crazy about growing herbs, as you know. 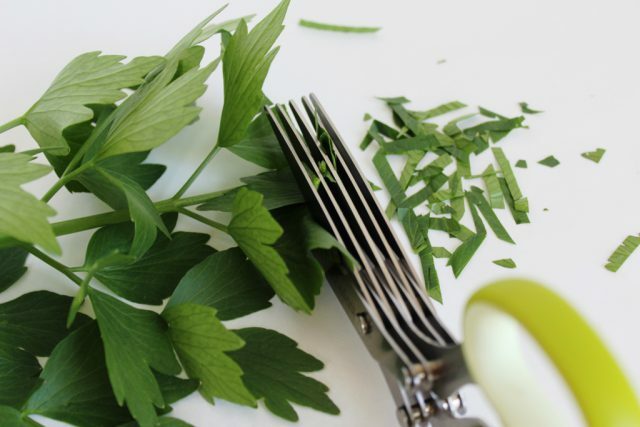 Much of the time I just like smelling and petting them – but I enjoy the occasional tea, and I dearly love to cut up cooking herbs into my recipes. 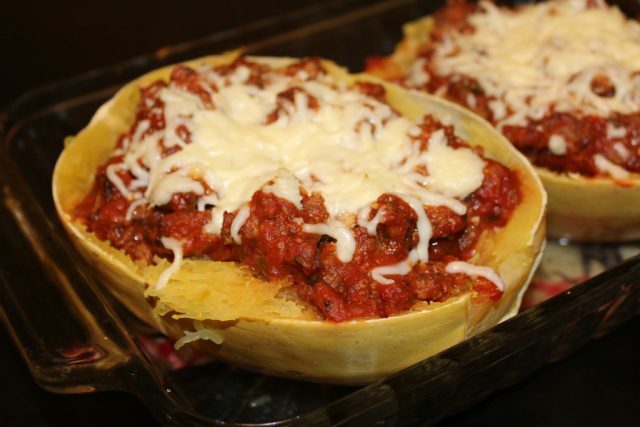 Loaded spaghetti squash is my favorite herbed dinner, with any combination of fresh basil, oregano, thyme, and sage in a beefy tomato sauce… along with savory hardneck garlic grown in my garden. But some herbs are hard to use. 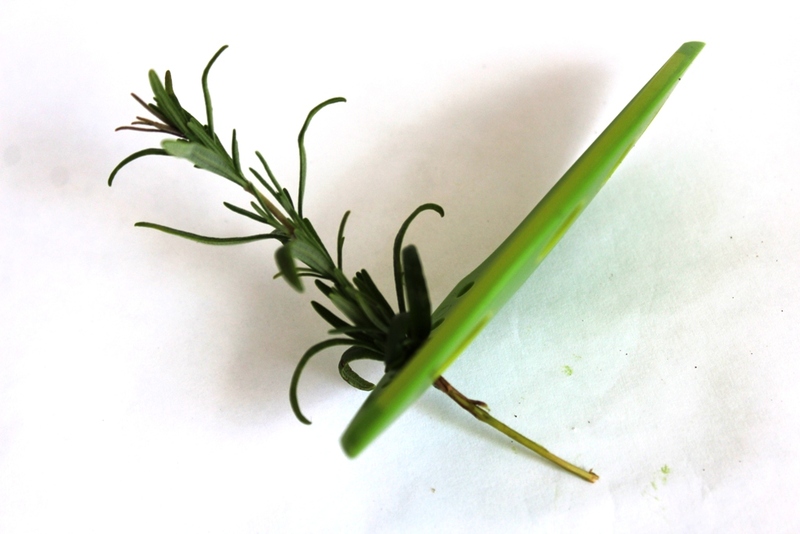 Thyme and rosemary, two of my favorites, have stems that are too wiry to enjoy eating, but the leaves don’t strip off easily, especially thyme. 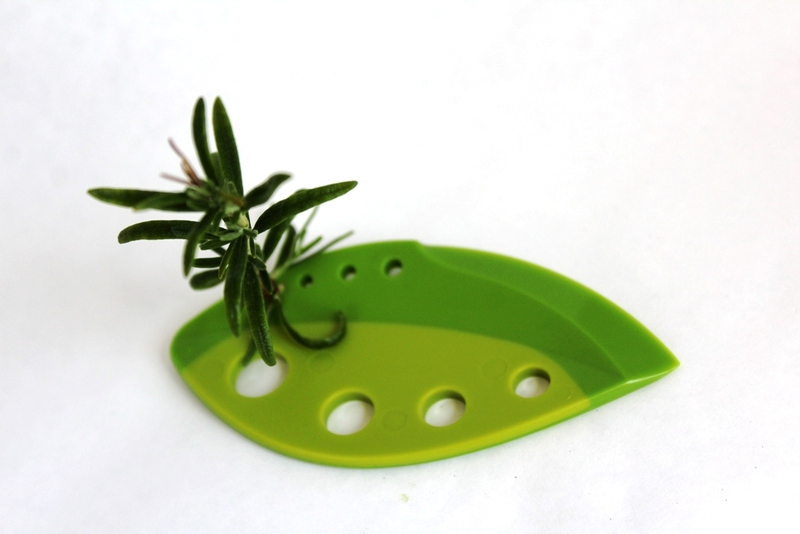 Enter the herb stripper: an incredibly simple and useful tool. 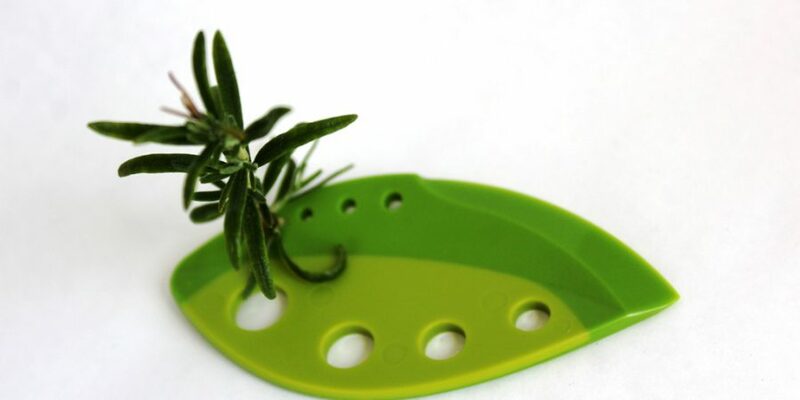 The holes are sized for different stem widths, and the leaves strip right off into your bowl. Also great for kale! 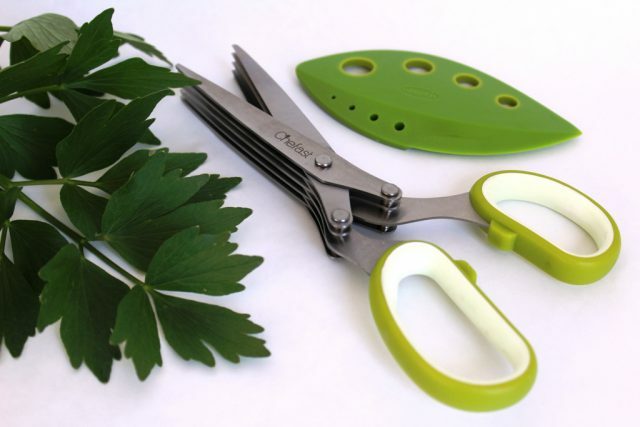 To chop up leafy herbs, I love this handy-dandy scissors I was given for Christmas, with quintuplicate blades for quick cutting. Be careful – it’s very sharp! 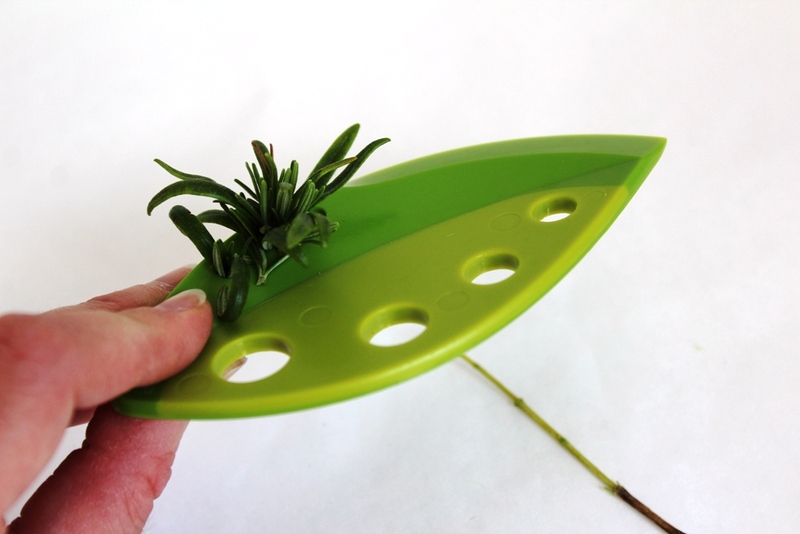 Ooh, it makes herb snipping so fun. My husband just surprised me with this treat from my wish list. I love sprouting seeds, and this tool makes it so easy. Multiple trays mean you can grow as many or few as you’d like. 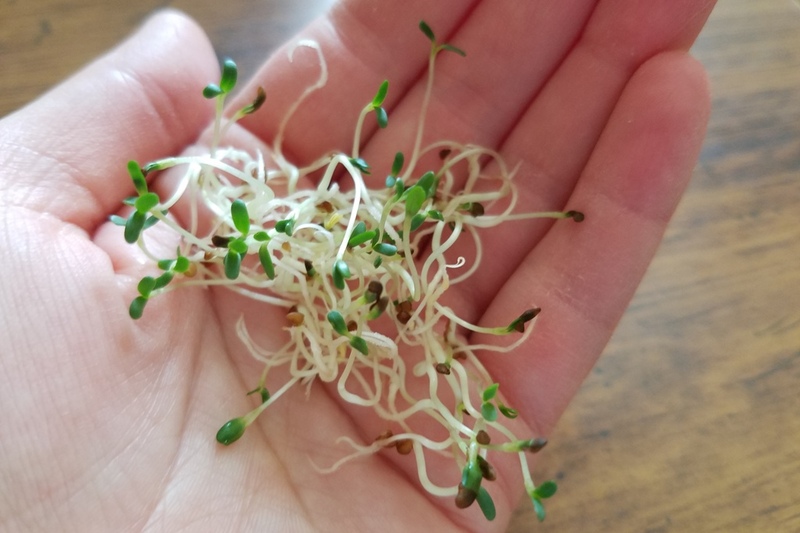 You can start a new tray every day for a rotation of fresh sprouts. 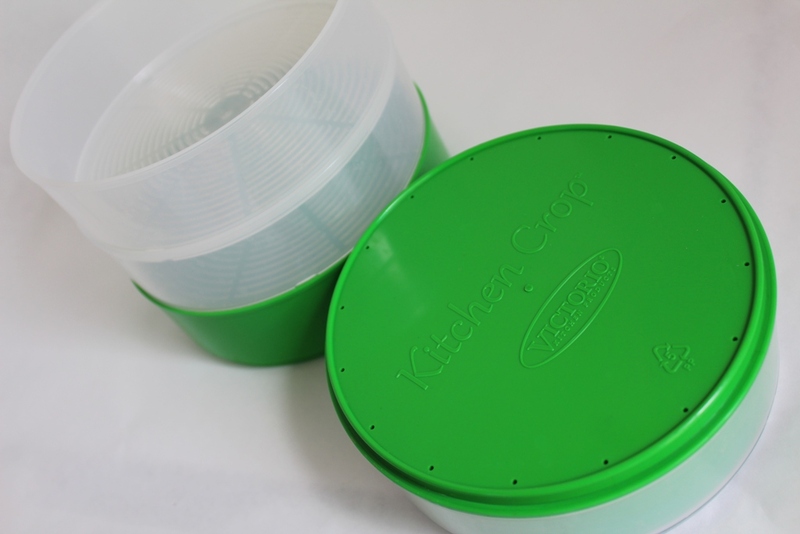 Rinsing and watering the seeds is made simple by tiny holes in each tray; the trays are also ribbed to keep the sprouts spread evenly in place. Mmm. Sprouts are a scrumptious addition to sandwiches and salads. This little gal is sharp! And I use her a lot. My daughter claimed the other knife in the set of two. 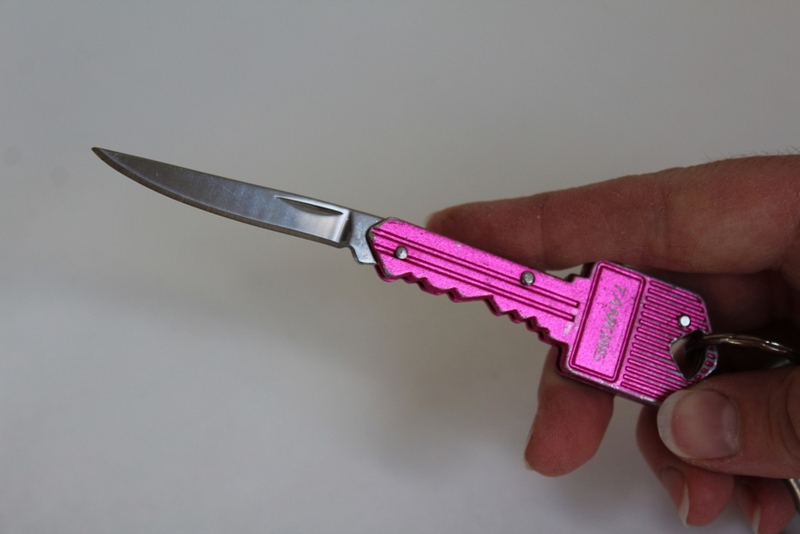 She is very proud of her little pocket knife, and has taken prodigious care of it; I think because it’s pink. 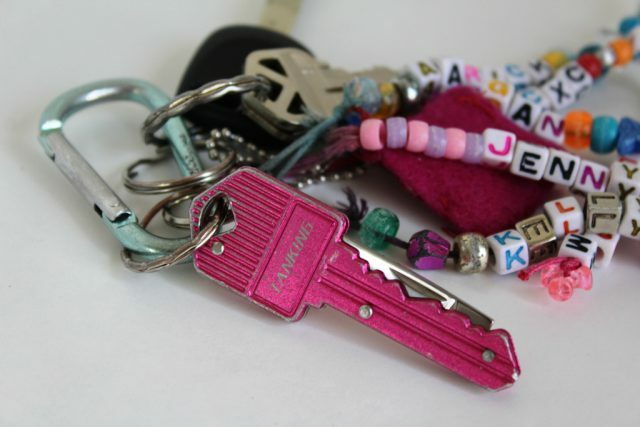 I just have to remember to leave mine in the vehicle when I enter the courthouse…! 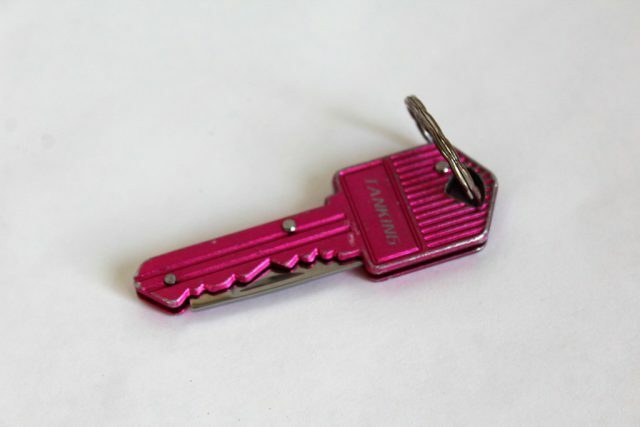 What little tools do you like to use? Next Post Three day potty training. Again. Can I enter Dollar General as a cheap gadget? There is no end to the variety of stuff you can procure for a couple bucks . I’ll take my thrift store dishwasher if that suits you better. I’m not a big gadget person, generally speaking, since my kitchen space is so limited. 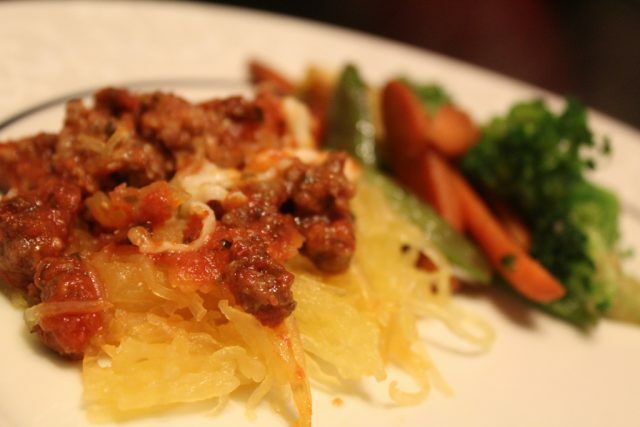 But my Vidalia Chop Wizard is worth every bit of its little corner in my cupboard. I’ve recently learned to put my herbs in a small cup, insert my kitchen scissors and snip away. It is so fast and easy!